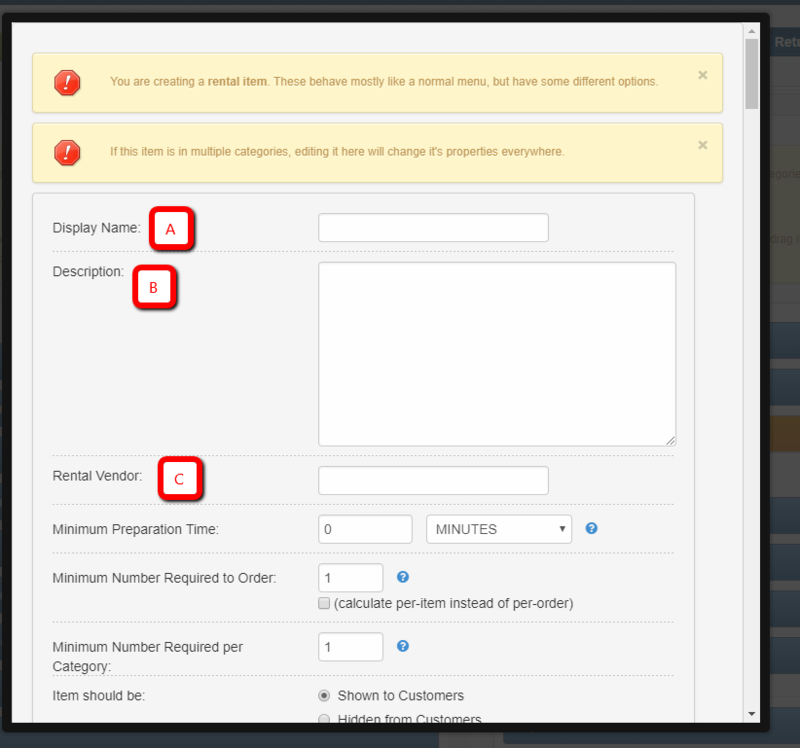 This article will go over how to create rentals for your BEO tool. 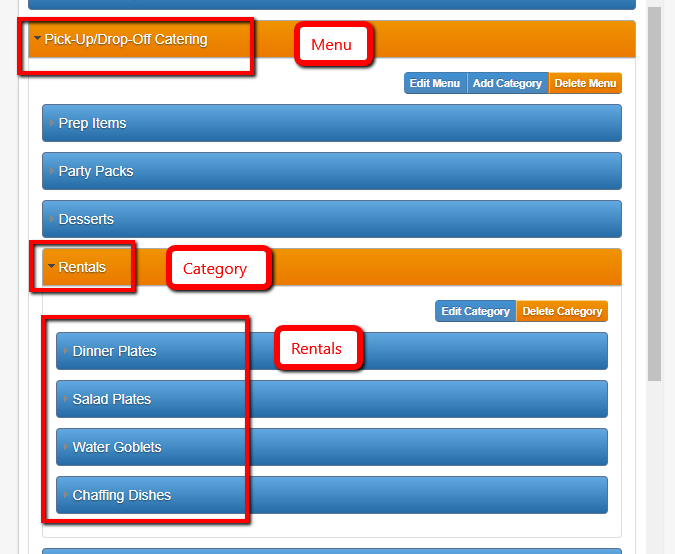 They are basically menu items that are classified as rentals on your proposals and orders. Only rentals included on an order will show up on the BEO. 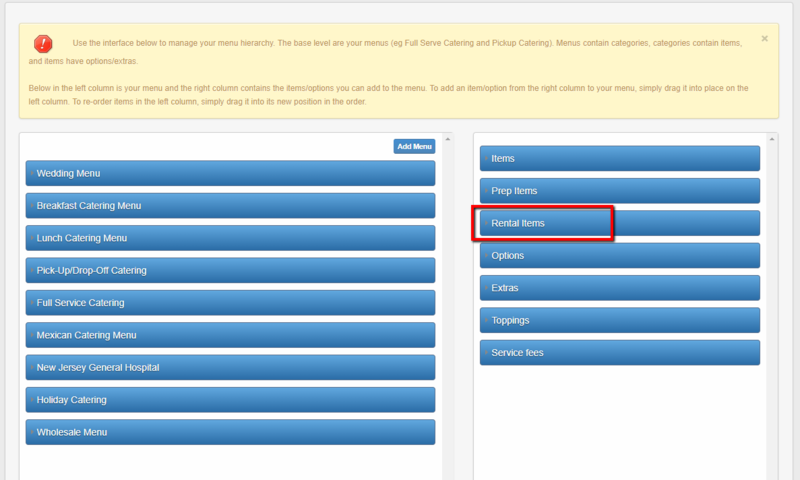 3 - Once the page has loaded to the Right of the page you will see a tab called Rentals Items. 4 - Once you click on the Rental Items tab, the list of your current Rental items will appear. 6 - Next you will fill out the information for the Rental. C - Rental Vendor, this is who you are rental the item from. If it is a Rental you own, you will need to create a name for that like "House Owned". 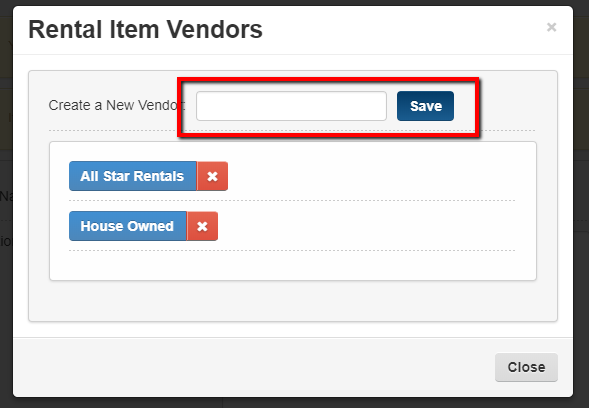 When you click inside this box a pop up box will appear to select or add a new rental vendor. 7 - Scroll down to the Pricing. Then you can add the pricing under the Menu(s) the Rental Item will appear under. 9 - Note that we recommend that you have a category created under the menu you want the rentals to appear in. 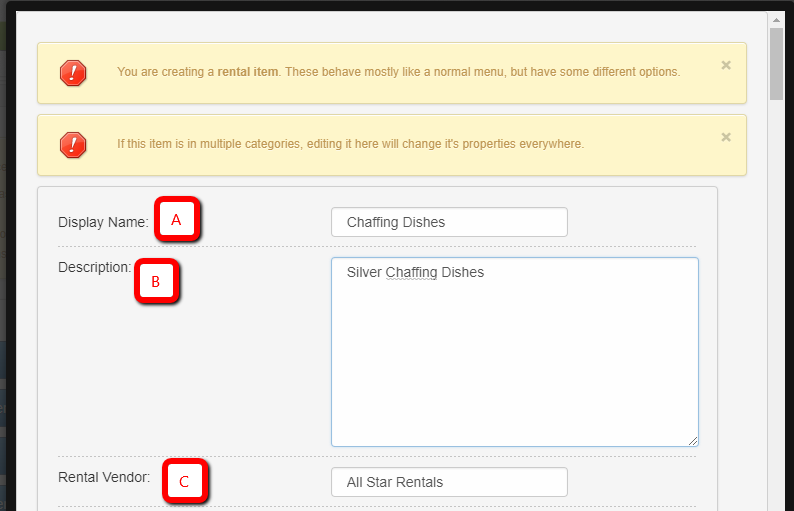 This way you can click, hold and drag your rentals under the correct menu and category. 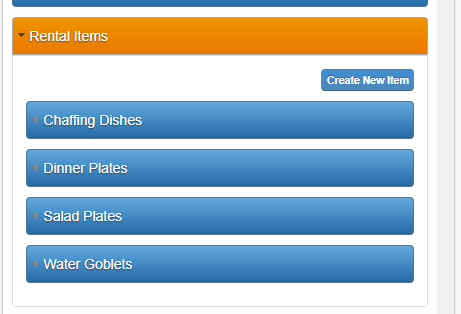 This way when under the Order Entry tab you can easily add your rentals to the order. 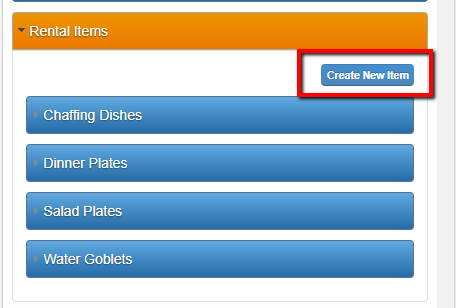 You have now learned how to add Rentals to your CaterZen software to add to an order and show in your BEO tool.